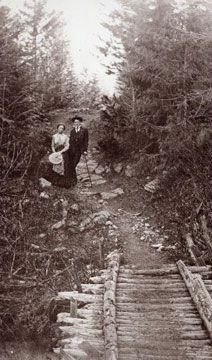 This site deals with the nature and history trails located in the vicinity of Castlegar B.C., Canada. As I have developed many of these trails and personally know the others listed, the guide can be considered as authoritative. In addition to offering comprehensive trail descriptions, this site offers pathways in time. You can travel back in time to review how some of these trails were constructed over a decade, and you can go back much further to explore aspects of local history which were incorporated into my trail design by the interpretive sign panels. The history essays provide additional information for the interested visitor. The site has been organized into several areas of interest, shown at the right. Books by the author are listed under Otmar Publishing.